If I'd known I was going to be inhaling so many JAK books this year, I probably would have set a higher goal for my Author Love Challenge. But I was going by a one book a month ideal, and trying to account for my reading slump at the beginning of the year. 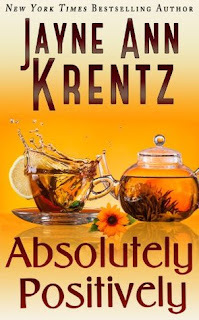 Who knew that Jayne Ann Krentz was what I needed to slowly climb my way back out of my reading slump... as well as get me to start back into blogging again. Meanwhile, I think I've given myself a brand new, passive reading challenge. Basically, the long-term goal is to read all the books ever authored by Jayne Ann Krentz, under every possible pseudonym she used. I even printed out a list that I found at JAK's official website, though it looks like it hasn't been updated since 2014, so I had to do as much myself. So apparently, after a few weeks, I really didn't remember anything about Lost & Found and ended up looking up the summary just to recall what the book was about. 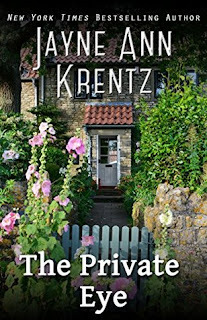 Of course, I gave it a 4.0 Star rating, because it's a Jayne Ann Krentz book, and I obviously enjoyed it while I was reading it. 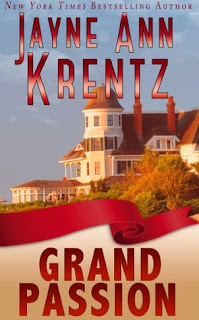 Thus is a book written by the beloved Jayne Ann Krentz, as I've stated before. Wonderful books to read, but so similar in formula to the rest of her books that I forget which was which and what character belonged to which book. Same goes for Twist of Fate as well as All Night Long, though in hindsight, I DO believe thinking that Twist of Fate was one of JAK's meatier story plots, with a pretty great self-revelation story going for the heroine. All Night Long also had a pretty intense crime thriller attached to the romance, which I very much felt entertained by. Otherwise, same old witty banter and dialogue, all things considered. 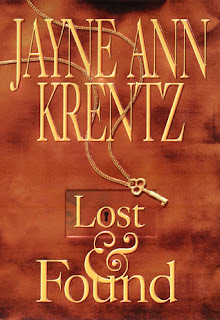 You're usual Jayne Ann Krentz delights. These are older JAK books, though it shows more in The Private Eye than the other two--with a much more dated romance and much more standard romance characters than I'm used to with JAK. I wasn't sure whether to feel second-hand embarrassment or amused. Fortunately, Grand Passion and Absolutely, Positively seemed more like JAK's usual work... at least for what I'm used to. There were moments where Grand Passion DID get a little frustrating, what with the heroe's broodiness getting a little out of hand. Same with Absolutely, Positively... And now that I think about it, those last two books had very similar main heroes, what with their family conflicts and stuff getting a bit frustratingly, yet comically out of hand. I just liked the way that our heroine handled the situation in the latter. No matter what, all these books were cute and enjoyable in their own way.